Good news for all you Honda CBR fans, Keita Muramatsu, President and Chief Executive at Honda Motorcycles and Scooters India (HMSI) on Monday (14 December) said that the company is all set to launch the refreshed version of the 2016 Honda CBR500R in India, next year. 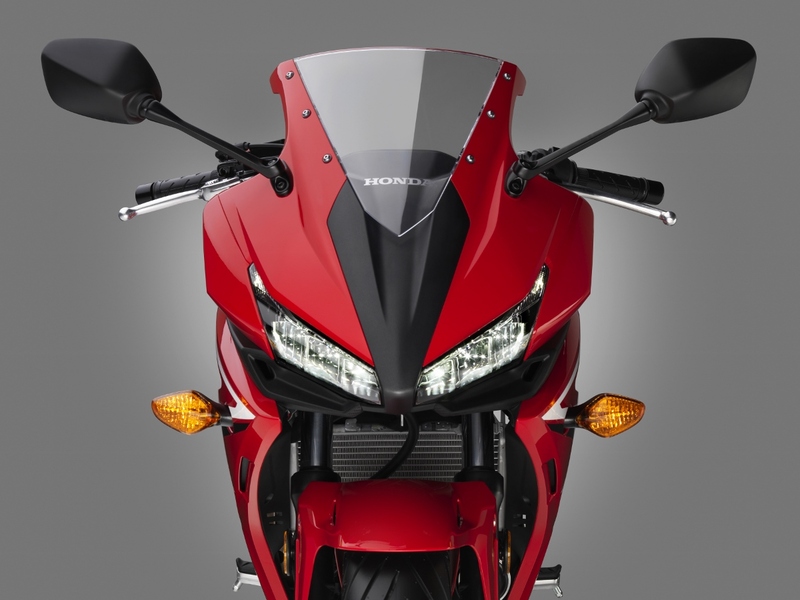 The company also released images of the 2016 Honda CBR500R. The motorbike will be making its international debut at the oncoming American International Motorcycle Expo in Orlando, Florida, USA, this February. The new 2016 Honda CBR500R promises looks and performance updates, making the new model sharper, sportier and more appealing. This updated design goes well with the company’s “Aggressive Speed Shape” theme and is in line with design philosophy of the CBR 1000R. Talking about the exterior, the front of the 2016 Honda CBR500R looks a lot sportier than the previous version. Major makeover feature include the twin LED headlamps. This time the headlights have been placed over well-shaped air scoops. Carrying an upswept design, the whole design is carried over to the LED taillight cluster as well. On the mechanical front, the 2016 Honda CBR500R comes fitted with a 471cc, inline parallel twin-cylinder liquid-cooled high-revving engine, mated to a 6-speed transmission box delivers a maximum power of 47PS. Other new features on the new 2016 Honda CBR500R is a larger fuel tank with a new fuel cap, an adjustable pre-load front suspension, a new exhaust muffler for a throatier soundtrack, new ignition key and adjustable brake levers, a new seat cowl, tank pad, a high windscreen for making the bike more tourer friendly, seat bag and a 12V power socket as well. Honda is offering this facelifted mid-size CBR sport bike in three different colour shades – Pearl White, Matte Black Metallic and Red.